The Medical Mutual Glass City Marathon Giveaway is now CLOSED. I had a blast running this giveaway and connecting with so many people who will likely be running this race with me in a few months time. In order to generate a winner, I took all of the comments I received in the ORDER received (based on timestamp) and entered them into a spreadsheet assigning them a number. 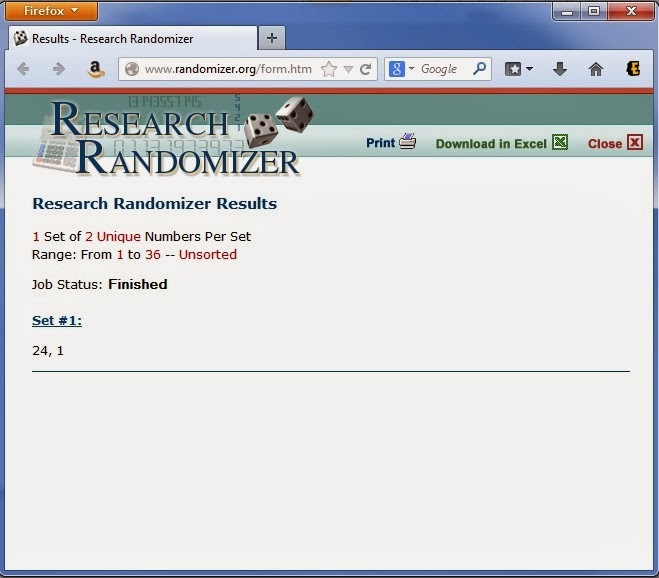 Then I used a random number generator to come up with the two comments who were winners. And the winners are Chelsea Daniels and Trisha Sisi! Please email me at emily.a.nickles@gmail.com, and I will give you instructions on how to claim your race entry! Next week I will work on giving an update on my own training, because I am coming up with a plan and making some progress!